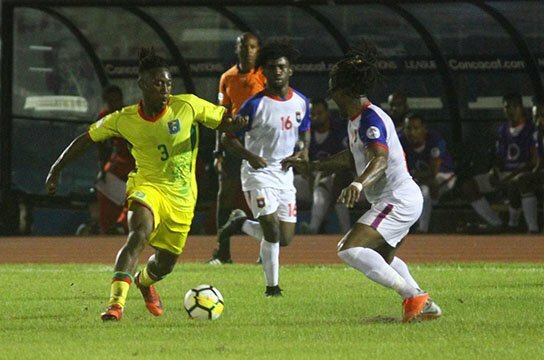 The sound of the Aruba official’s final whistle confirmed the historic moment as Guyana defeated Belize 2-1 in their final CONCACAF Nations League Qualifier to seal their maiden appearance in the CONCACAF Gold Cup. The monumental moment ignited wild scenes in the capacity stands and on the field by spectators, who wanted to celebrate with their heroes. The aforementioned was realized following first half goals by midfielder Neil Danns and forward Emery Welshman, in what was the second meeting of the nations. Guyana ended their campaign on nine points. 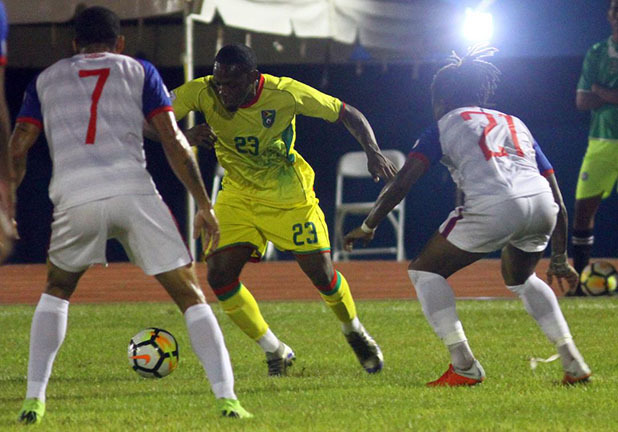 Up to press time, the Golden Jaguars were in sixth position among the top 10 qualifiers, possibly qualifying for a berth in League-A section of the 2020 Nations League Championship. 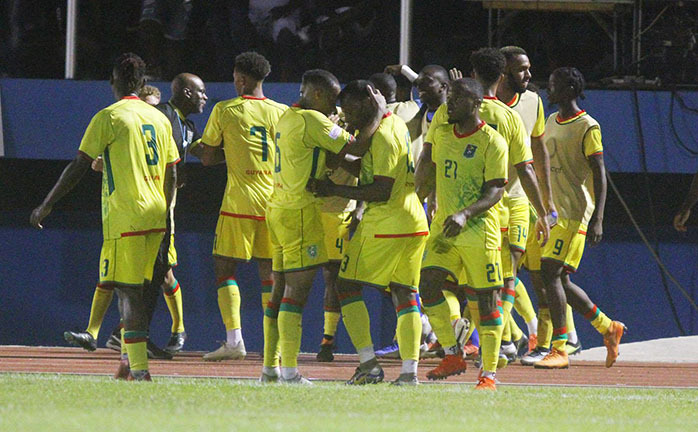 Guyana’ starting XI for the match consisted of Akel Clarke, Kadell Daniels, Ronaye-Marsh Brown, Elliot Bonds, Cox, Emery Welshman, Keanu-Marsh Brown, Terrence Vancooten, Danns, Callum Harriott and Anthony Jeffrey. The opening goal occurred in the 16th minute, as Danns converted from the penalty mark. The tricky midfielder thumped his powerful right foot shot into the lower left corner, sending the goalkeeper the wrong way. The scenes following the conversion were reminiscent of a carnival atmosphere. However, the visitors equalised in sublime fashion in the 25th minute, as Elroy Kuylen scored, curling a left foot shot into the lower left corner. The conversion sucked the life out of the atmosphere, silencing the large gathering. Guyana was then presented with a glorious chance to retake the lead in the 36th, after a penalty kick was rewarded following a clumsy challenge on Kadell Daniels. The opportunity would unexpectedly be spurned, as Danns tame right effort was denied by custodian Woodrow West to his left. The miss did not prove to be detrimental, as Welshman made his presence felt in the 43rd minute, placing a powerful shot into the left hand corner from the top of the box. The second half of clash witnessed Belize attempting to secure the equalizer, with Guyana comfortable playing on the counterattack. This plan was almost brought to fruition as Jeffrey was denied by the onrushing West in the 60th minute, who smothered a through pass following a possible one on one situation. Nonetheless, the corner stones of this strategy, were center-half Vancooten and substitute attacking midfielder Stephen Duke-McKenna. Vancooten was imperious in the rearguard as he effortlessly thwarted several lobbed passes from the visitors. On other hand, Duke-McKenna was brilliant during a 20 minute cameo, terrorizing the opposing backline with his combination of speed and skill. The diminutive attacker almost came close to increasing Guyana’s lead in the 75th minute, curling a left foot effort just wide of the left corner. The official draw for the Gold Cup will be staged in the coming days.